Manchester United midfielders Ander Herrera and Nemanja Matic could both be included in Jose Mourinho’s starting XI against Derby County. 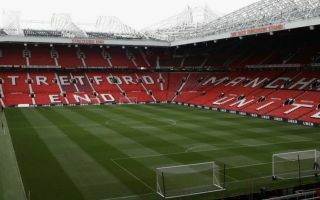 The Red Devil’s kick off their latest League Cup campaign on Tuesday night against the Rams at Old Trafford, coming into the match off the back of a disappointing 1-1 draw with Wolves on Saturday. Mourinho’s men fell 8 points behind Premier League leaders Liverpool after producing another below-par performance in front of their own fans, despite taking the lead in the match via a first-half strike from summer signing Fred. Joao Moutinho struck the equaliser in the second period to maintain the newly promoted club’s impressive start to the season, whilst also striking another significant blow to United’s quickly fading title hopes. Having only managed 3 wins from their first 6 games domestically, Mourinho must now glavanise his squad for their first Cup outing of the year, where they will be expected to breeze past Frank Lampard’s Championship outfit. The big team news ahead of the contest is the return of Ander Herrera, who has been recalled to the squad following an ankle injury which kept him out of action for the last three weeks – as the Independent reports. Matic and Hererra are tenacious, aggressive and defensive minded players capable of breaking up the play in the middle of the park and should provide United with a solid foundation in midfield if indeed they are selected to play together against Derby. Supporters will be expecting the team to get back to winning ways but they cannot afford to be complacent against Lampard’s men, who currently sit in a healthy position in the Championship table after a promising start to the year.